The faint glimmer of playoff hopes was extinguished today as the Bears lost 38-14 to Seattle at Solder Field today. Johnny Knox and Chris Conte both left the game with injuries, and Caleb Hanie was pulled after giving up two pick-sixes. Chicago led the game at halftime. 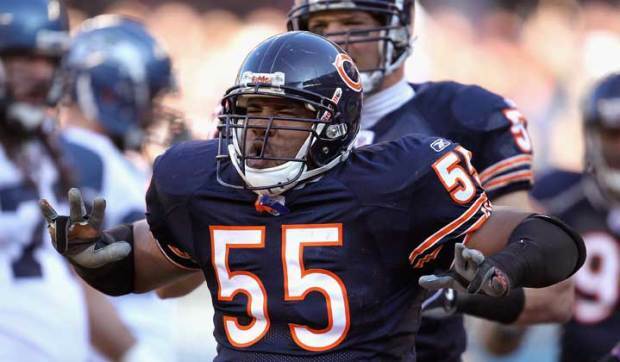 The defense got on the board when Julius Peppers sacked Tavaris Jackson and forced a fumble while in the end zone. Israel Idonije fell on the ball, giving the Bears a touchdown. Kahlil Bell, getting extra playing time because of Matt Forte's injury, made his first NFL touchdown with a 25-yard catch from Hanie. But Seattle, who is known for excelling in the second half, responded with 31 points in the second half. Marshawn Lynch scored two minutes into the third quarter, which was immediately followed by Red Bryant picking off Hanie for a TD. They added a field goal late in the third, then a touchdown and another pick-six in the fourth quarter. The game wasn't the only thing lost. Receiver Johnny Knox was carted out of the game on a backboard after his back was bent awkwardly early in the game. He had movement in his extremities, and was diagnosed with a lower back injury. Safety Chris Conte injured his ankle and left the game. Hanie's problems opened the door for Josh McCown to come in, but he was just as bad. He threw two passes, and one was intercepted. Bell was one of the few bright spots in the game; he finished with 133 all-purpose yards. With that loss, the Bears drop to 7-7, and it would take a miracle for them to play in the post-season. Next, they'll play the Packers on Christmas night. Green Bay lost for the first time this season against Kansas City today. Follow the Bears with Grizzly Detail on Twitter.